An Indian nun stabbed to death in 1995 will be beatified on 4 November, and one of those who will celebrate is her murderer. Clarist Sister Rani Maria Vattalil, 41, was stabbed in front of more than 50 bus passengers on a remote jungle track in Madhya Pradesh state as she was on her way home to Kerala state to visit. 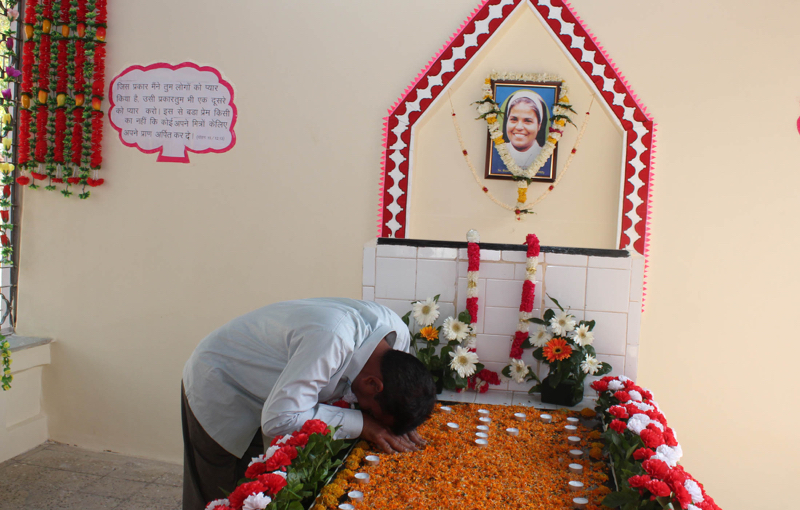 Samandar Singh, then 22, murdered her on behalf of money lenders upset with Sister Rani Maria's work setting up self-help groups in the Diocese of Indore. Singh has since been forgiven by the nun's family and was released from prison. "Whatever happened has happened. I am sad and sorry about what I did. But now I am happy that the world is recognizing and honoring Sister Rani," Singh, a Hindu, told Catholic News Service Oct. 30 in a telephone interview from his village of Semlia. Singh was convicted of the murder and initially was sentenced to death; the sentence was later commuted to life in prison. He said Sister Rani Maria's younger sister – Clarist Sister Selmy – formally accepted him as her "brother" while he was in prison and facilitated his early release. Court officials agreed to the release in 2006 after mandatory declarations were signed by Sister Selmy, her parents and church officials. When Sister Selmy was preparing to return home to southern Kerala state in January 2007 to visit her ailing 82-year-old father, Paul Vattalil, Singh accompanied the nun an apologized to her parents. "I am now eagerly waiting for the big day," Singh told CNS. Bishop Chacko Thottumarickal of Indore told CNS the beatification of Sister Rani Maria "will be an inspiration for those serving the needy and poor in difficult circumstances in the country." "Sister Rani Maria challenges all to carry on their work even if there is opposition and not to get disheartened by obstacles," added Bishop Thottumarickal. Sister Selmy called the beatification "a miracle." "Sister Rani urges us all to go forward fearlessly," said Sister Selmy, who serves in a remote village in Uttar Pradesh state. Cardinal Angelo Amato, prefect of the Congregation for Saints' Causes, will preside over the beatification. Archbishop Giambattista Diquattro, apostolic nuncio to India, will lead the thanksgiving Mass Nov. 5 at Udainagar, 25 miles from Indore.